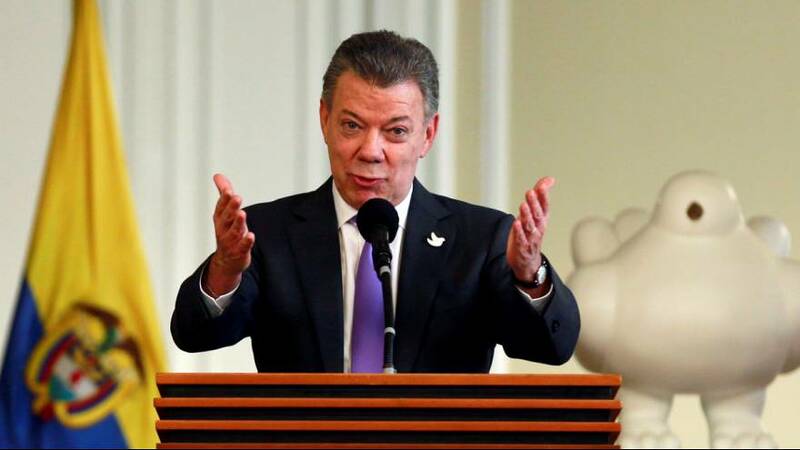 Colombian President Juan Manuel Santos is to donate his Nobel Peace Prize money to the victims of his country’s war with FARC rebels. He made the pledge after attending a special Mass for some of the 200,000 people who have died in the conflict. Santos was awarded the prize for his efforts to end the war just five days after Colombians rejected a peace accord in a referendum. The euphoria of last months signing of a peace deal with rebels quickly evaporated after the Colombian people narrowly refused to ratify it on October 2. A dissapointed Santos has now renewed his commitment to taking the peace process forward as negotiators try to revise the deal. Colombia's President Juan Manuel Santos says he'll donate almost $1M in Nobel Peace Prize money to victims of Colombia's 50-year conflict.